Friday 4 May 1962 THEY HANGED MY SAINTLY BILLY Directed by Peter Dews. 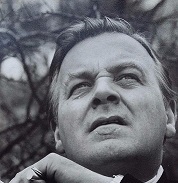 Patrick Wymark starred as the 'Prince of Poisoners', William Palmer in Rosemary Hill's adaptation of the novel by Robert Graves. Rugely doctor William Palmer was hanged in 1856 for the murder of John Parsons Cook and accused of poisoning 14 people including his wife and children. Graves novel was written from the view that Palmer was the victim of an aggressive press campaign, naming him as a murderer before his trial. While he was a thief, a forger, a 'horse-nobbler' and philanderer, Palmer was not necessarily a murderer. The 90 minute play featured Joan Wenham (An Inspector Calls) as Annie Brookes, an heiress who married Doctor Palmer in 1847 and died in 1854, after he had paid just one premium on a life insurance policy (her death was ascribed to cholera, a common if misunderstood cause of death at the time). Mary Yeomans (later Louise, the duplicitous love of Adam Adamant ) played Jane Widnall a blackmailing former love of Palmers, who tried to extort money out of him for a non-existent abortion and (Graves imagines) reappears after the death of Palmer's wife. Rowena Cooper played Eliza Tharme, Palmer's housemaid, who added to his financial pressures by giving birth to his son.Jerome Willis (who would later appear as Arthur Sugden's brother in The Plane Makers episode No Mans Land ) played the dissolute John Parsons Cook, a fellow horseracing enthusiast steadily gambling away his inheritance. The play also featured Douglas Muir (later Tom Bancroft in The Plane Makers) as Sir Benjamin Brodie, President of the Royal College of Surgeons, who gave expert evidence about the difference between strychnine poisoning and tetanus. 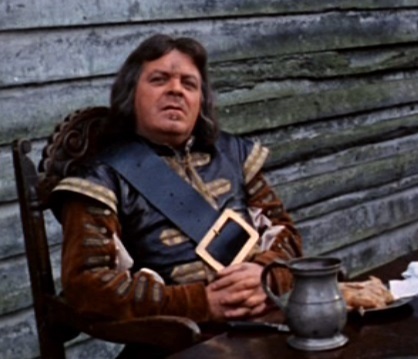 Whether or not he was a murderer, Palmer was undeniably a rogue, and this puts paid to the notion that the British public knew Patrick Wymark solely for comic Shakespearean roles before he became John Wilder. King Charles was played by David William, who had played Richard the Second in Dews'award-winning 1960 series 'An Age of Kings'. William was artistic director of the New Shakespeare Company at the Regent's Park Open Air Theatre . During the summer of 1962, William played Oberon in his own production of A Midsummer Nights Dream, while Patrick Wymark played Bottom (John Sterland, the CIA man in The Power Game episode Drinks On A Sunday played Flute). The cast included other performers who Dews regularly engaged - future theatre director Patrick Garland played Henry Ireton, one of the Commissioners who signed the Kings death warrant. Julian Glover played Colonel Thomlinson, who took charge of the King up to his execution. Jerome Willis took the role of the Lord General Fairfax. Fairfax had led the Parliamentary forces to victory over the Royalists at the Battle of Naseby and became the effective head of Government when the Army removed their opponents from Parliament. However, while Fairfax agreed that the King should be punished for trying to raise his own army, he was opposed to executing him and refused to take part in the tribunal. His resignation from Government left the way clear for his more politically astute subordinate Oliver Cromwell. 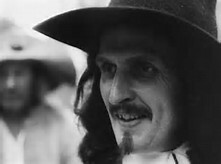 Jerome Willis as Fairfax in the 1975 film Winstanley. While Fairfax could not bring himself to execute a King, it should be noted that his conscience allowed him to execute Robert Lockyer, leader of the Bishopsgate mutiny and part of the Leveller movement demanding greater democracy. 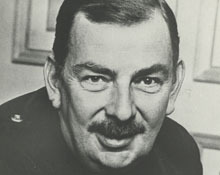 Willis, (who would go on to play Matthew Peele in The Sandbaggers and Rexton Podley in Space Precinct) repeated the role of Fairfax in Kevin Brownlow and Andrew Mollo's 1975 film Winstanley. This was adapted from David Caute's novel Comrade Jacob which dealt with the agrarian socialist movement known as the Diggers. The novel had already had been adapted by James MacTaggart for the BBC in November 1961, and Willis had also appeared in this production (playing a different character). The 1975 film was made at weekends, mainly with amateur actors. Willis accepted the role as a 'passion project', working for Equity minimum to help deliver a film attempting true historic accuracy. His performance as Fairfax is said to have, "carried genuine conviction and neatly demonstrated the persistent lenience of Fairfax to the Diggers attested to in numerous primary sources." (Andrew Hopper; Images of Fairfax in Modern Literature and Film).Unfortunately, despite the strong commitment to historical accuracy, David Caute removed his name from the film because it ignored Winstanley's semi-religious, mystical fervour. Peter Dews was born in Wakefield in 1929. As Brian Cox put it, he was "one of the few working class boys to make it to Oxford." He acted in several Oxford University Dramatic Society productions and toured America with the Oxford University Players in King Lear. On graduating he became a teacher in Bradford, also producing plays at the Bradford Civic Playhouse. In 1954 he joined the BBC as a radio drama producer for the Midland Region in Birmingham, later progressing to both radio and television production. In 1957 he was responsible for the first production in the BBC World Theatre series (Henry V). At the 1958 Edinburgh Festival he produced Willis Hall's The Disciplines of War which went on to have great success at London's Royal Court under the title The Long And The Short And The Tall . In March 1959, he directed Thomas Otway's "The Cheats of Scapin," for the 59 Theatre Company at the Lyric Opera House, Hammersmith with Harold Lang as Scapin and Maxwell Shaw, Peter Sallis Patrick Wymark, Fulton Mackay and Helen Montague. In 1960 he produced the award winning Age of Kings for the BBC, adapting Shakespeare's history plays in 15 live hour-long segments. The series caught the imagination of the public by running the plays together so that the progression of characters like Robert Hardy's Henry the Fifth took on a soap opera-like intensity. Sean Connery played Harry Percy in this production. The success of the series led a 1963 sequel, The Spread of the Eagle highlighting the Roman plays of Shakespeare, with Peter Cushing and Keith Michell in Julius Caesar. In 1967 he joined Birmingham Repertory Theatre where he convinced Doctor Kildare star Richard Chamberlain to play Hamlet. Among the young actors employed at Birmingham Rep was Brian Cox who remembered Dews as, "a great character, a force of nature." In 1969, Peter Dews won the Tony Award for directing the Broadway production of Peter Luke's "Hadrian VII" which had originated at Birmingham Rep. In 1972, Peter Dews directed Royce Ryton's play, "Crown Matrimonial", at the Theatre Royal Haymarket in London, England with Wendy Hiller and Peter Barkworth (Ken Bligh in The Power Game). He was Artistic Director of the Chichester Festival from 1978 to 1980.